Amidst the tumultuous week that is finals week, I decided to take a trip to Assateague Island National Seashore. In 1962, the national seashore was established to protect the 37 miles of beach that stretches from Maryland to Virginia. 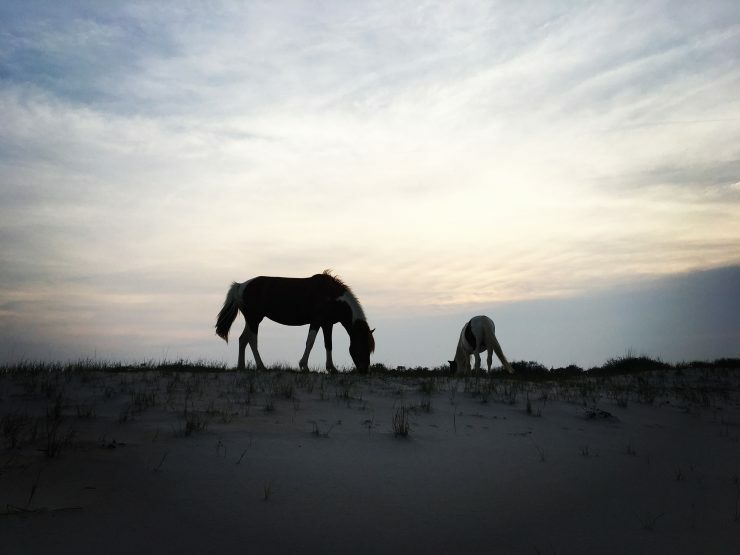 Home to over 320 species of bird and countless other shore-dwelling species, the shore is famously known for its wild horse population. 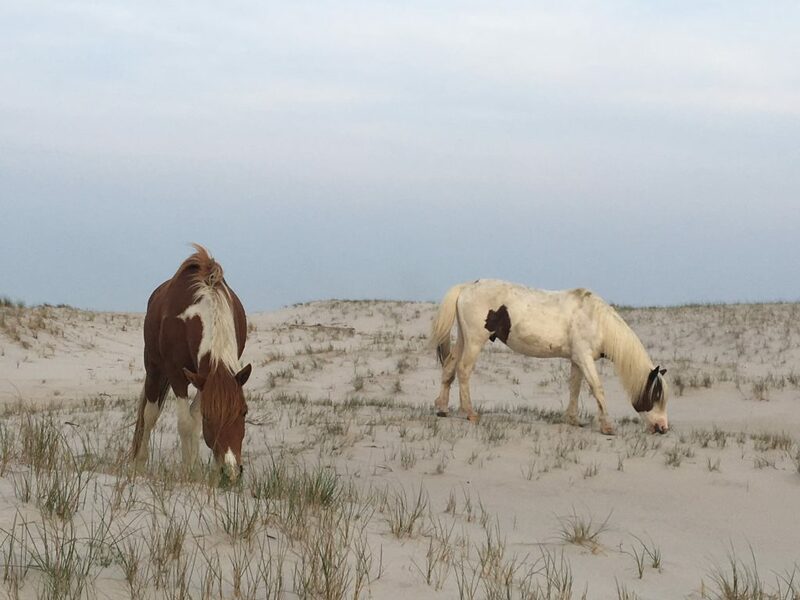 The origin of this population is shrouded in mystery; however, one theory suggests that the horses survived a 1600s shipwreck off the coast, possibly from a Spanish Galleon that was found submerged off the Assateague coast. The total population of the wild ponies is estimated to be about 300 along the entirety of the 37 mile stretch. They are often found feeding on the grasses of the inland marsh and have become well adapted since their arrival to the shore. We drove from Washington D.C. to Assateague, making the trip a little over a 3 hours drive. When we arrived, we checked in at the ranger station and started our hike a few miles up the coast. We stopped along the way to snack and explore the dunes along the coast. Despite the chilly Atlantic water, we attempted to go for a swim, but ended up stumbling upon a horseshoe crab (pictured below). Horseshoe crabs are often dubbed “a living fossil” due to the fact that they existed 100 million years before the dinosaurs and have been found in fossils dating back 300 million years. 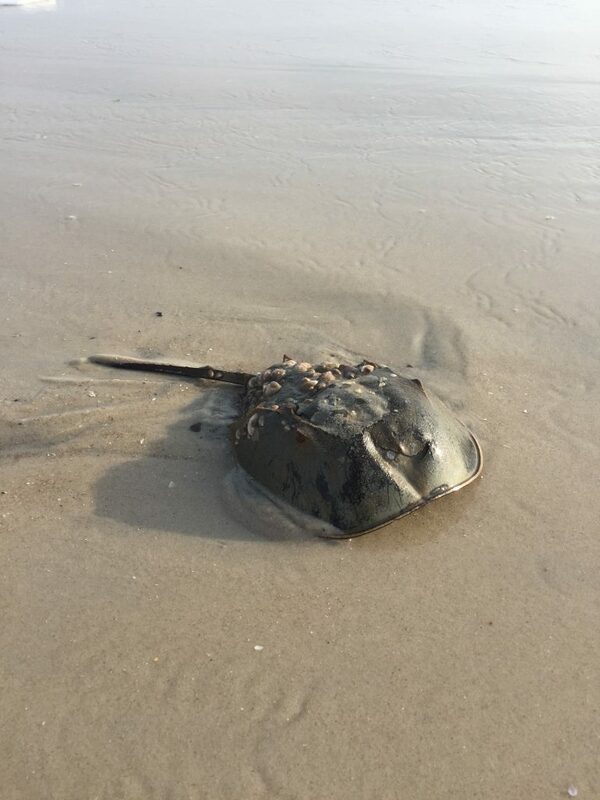 During the spring, horseshoe crabs come ashore to lay their eggs. Their eggs are a major food source of many migratory birds on their way to Canadian breeding grounds. These creatures are actually closer related to spiders than crab and can live for up to 18 years. After watching our horseshoe crab friend crawl back into the ocean, we decided to find a spot to camp. We hiked back into the marsh of Assateague, only to be swarmed by mosquitoes. To this day I have never experienced anything like those mosquitoes. At one point I swear I looked down at my legs and had at least 15-20 attempting to feed on my blood. After a lot of swatting and running away from the swarms, we finally found a spot relatively bug free (it also may have been the fact that by this point we had drenched ourselves with DEET). 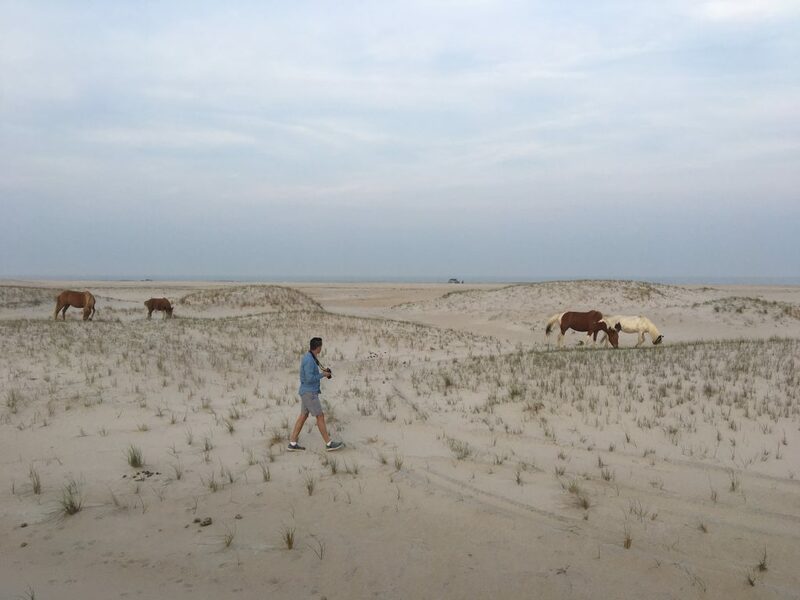 After setting up the tent, we noticed over the dunes, was a herd of wild ponies. We excitedly grabbed our cameras and slowly moved toward the herd, hiding ourselves behind the dunes so we wouldn’t spook them. We watched as the ponies fed on the grasses of the dunes. The horses did not even seem to be phased by our presence, probably a result of significant human interaction from frequent tourism to the island. As the sunset and the horses moved away, we spent the rest of the night around a fire, listening to the sound of the waves crashing on the beach. Trips like these remind me of how much of our own backyards we take for granted and leave me feeling inspired to explore more of the natural wonders that the Mid-Atlantic has to offer. 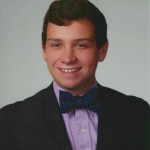 Durham, Denmark, and now D.C.